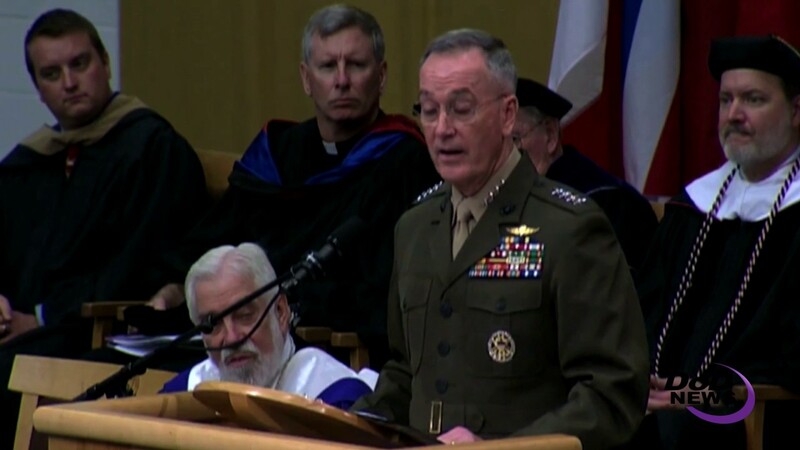 America needs leaders of consequence and conscience, said Marine Corps Gen. Joe Dunford, who today urged the new graduates of his alma mater -- Saint Michael’s College in Colchester, Vermont, -- to be those leaders. The chairman of the Joint Chiefs of Staff graduated from Saint Michael’s in 1977, the same year he was commissioned into the Marine Corps. The general spoke about leadership. “One of the qualities that all great leaders share is moral courage -- the ability to think for yourself and do the right thing regardless of the consequences,” he said. 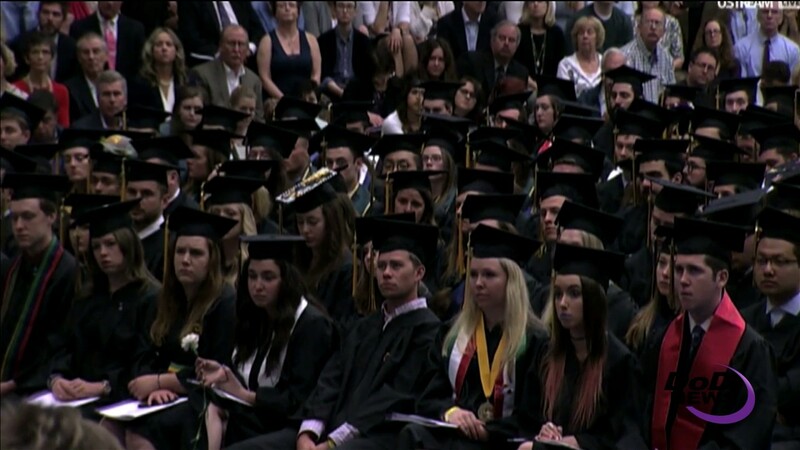 He noted that the commencement speaker at his graduation -- Maine Sen. Margaret Chase Smith -- was a perfect example of that type of moral courage and he related her story to the new graduates. Smith was the first woman elected to the Senate, so she was a trailblazer, the chairman said. “But it was the moral courage she displayed in 1950 that established her as a truly extraordinary leader,” Dunford said. In 1950, the United States was shaken by a bad economy. The previous year, the Soviet Union had developed the atom bomb, while mainland China became the communist-ruled People’s Republic of China. Wisconsin Sen. Joseph McCarthy took advantage of the unsettled times, and during the “Red Scare” he employed “fear, ignorance, bigotry and smear to launch attacks on the patriotism and integrity of many Americans,” Dunford said. While many disagreed with McCarthy, few were willing to stand up to him, the general said. Margaret Chase Smith examined McCarthy’s accusations, deemed them not supported by the facts and took to the Senate floor to denounce him and his methods. She called it her Declaration of Conscience. Until Smith’s speech, many who shared her beliefs were afraid to declare themselves. After her speech, they felt free to speak out and the dark chapter of American history that McCarthy represented, ended, Dunford said. The general also urged the class to serve something greater than them. He cited the example of Father Maurice Oullet, an Edmundite priest who played a critical role in the civil rights struggle in the 1960s. Oullet’s parish was in Selma, Alabama, and when the march across the Edmund Pettus Bridge in that city was met by force, he helped organize the response, placing his own life at risk. The successful march in 1965 led to passage of the Voting Rights Act. How does a person live up to those examples? The general said he has faith that today’s graduates will join past generations of Saint Michael’s graduates who have gone on to be leaders of consequence in a wide range of endeavors. America needs strong, values-based leadership moving into this complex world, Dunford said. “Regardless of where life takes you, have the moral courage to do what’s right even when it is tough, and commit to serving something bigger than yourself,” he said.